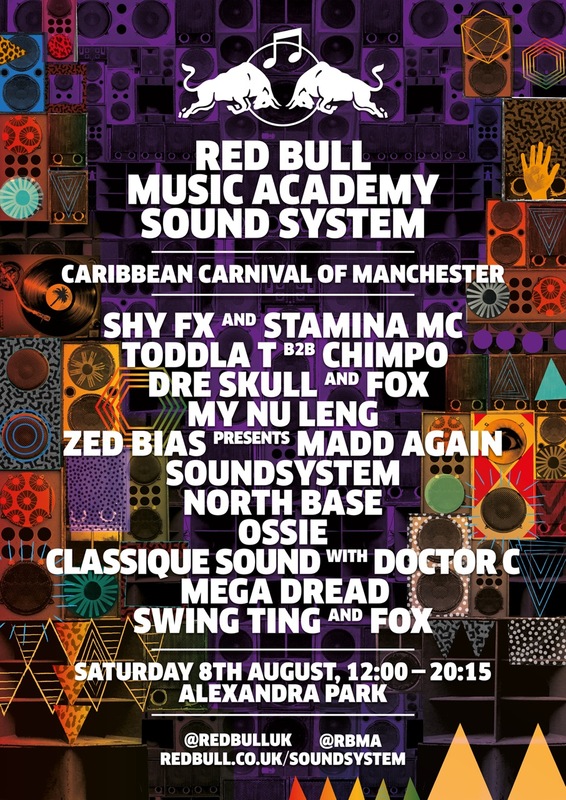 The Red Bull Music Academy Sound System returns to the Caribbean Carnival of Manchester this summer for the second year running, bringing an exclusive set fuelled by bass-heavy beats and sun-drenched carnival rhythms. 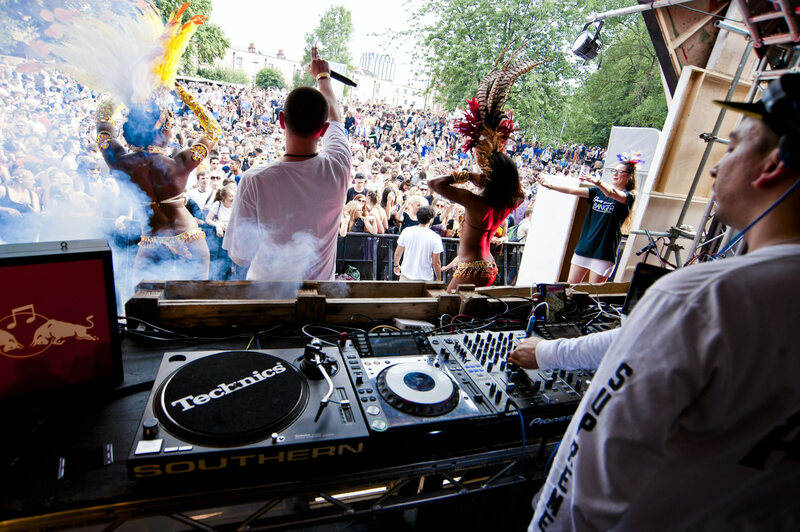 The stage will host a combination of international and homegrown heavyweights as this pulsating daytime party joins the dots between the jungle, drum and bass and dancehall music spheres. Returning to its spiritual home in Alexandra Park, Moss Side, on Saturday 8th August, the carnival offers a vibrant celebration of Caribbean music, dance, theatre and costume. It’s set in one of the city’s most renowned urban spaces and hosts a free street party celebration led by the scintillating, shanty-town inspired Red Bull Music Academy Sound System stage – which is supporting 30 years of local community culture in the city. The Bristol-based My Nu Leng draw on many varied influences traversing across the whole spectrum between pitch-shifted vocals and beat banging rumbles, and one of Manchester’s electronic godfathers brings himself and his crew as Zed Bias Presents Madd Again Soundsystem with Trigga, Specialist Moss and Killa Benz all perform. Another local mainstay North Base, featuring DJ Silver, Wilf Prophecy, Splice and MC Longman also star, as does Red Bull Music Academy Alumni and future funky kingpin, Ossie. Classique Sound will bring their full crew and Doctor C, with reggae master Mega Dread and local street rave repping collective Swing Ting, with Platt, Samrai, Fox, Murlo and Joey B completing the lineup on the Red Bull Music Academy Sound System stage.